How to Spend 7 Days in Koh Samui, Thailand – Make the Days Count! Koh Samui is the second largest island in Thailand, and one of the most sought-after destinations in the country. Read on to know how you could spend a week in Koh Samui. Turquoise blue water, clear skies and white sand beaches what more do you need for a perfect beach getaway! Koh Samui offers it all. The tropical waters of Koh Samui support a variety of marine life and the crystal clear waters offer excellent visibility and are ideal for diving! Reserve a day to unwind and relax with therapeutic Thai massage sessions. Rejuvenate your body mind and soul with the perfect wellness experience during your stay at a Koh Samui Resort the likes of Sunset Coast Samui Resort & Villas. Thai Cuisine is undoubtedly one of the most colourful and flavorful cooking styles in the world. Streets in Koh Samui have a number of stalls that serve up some of the best street food you could find in the world. You should certainly allot at least one day to explore these streets and indulge in delicious food. Koh Samui is home to an array of tranquil Buddhist temples. Wat Plai Laem, Wat Ratchathammaram, Wat Khiri Wongkaram and Wat Khao Chedi are some of the temples you might want to consider visiting during your stay here. Koh Samui has a plethora of stunning appeals to enthral all first-time travellers. Here are some things to do and see in this beautiful destination which is home to an abundance of natural wonders. Koh Samui attracts many tourists for its stunning beaches scattered across the island. The nightlife in most of those beaches is a mellow affair just the way everyone likes! The full-moon parties of the island tempt everyone to party on the beaches till break down of the dawn. 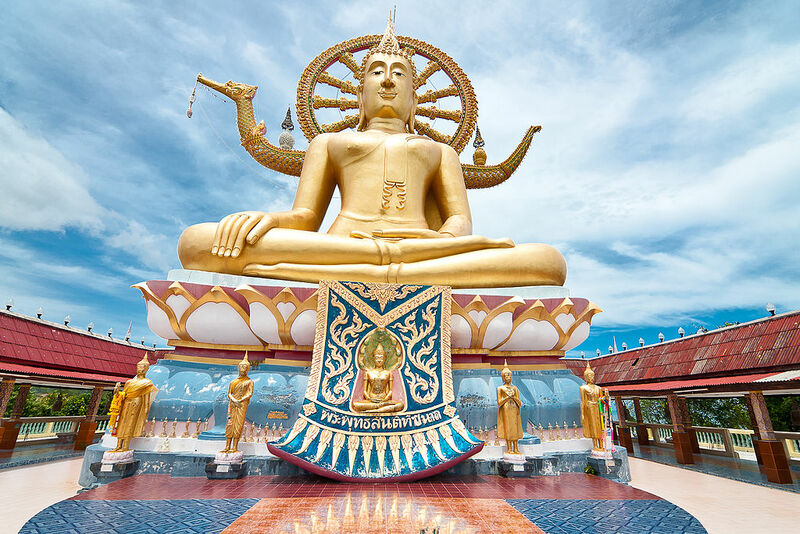 When in Koh Samui, one should not miss visiting one of its impressive landmarks known as the ‘Big Buddha’. The statue has a height of 12 metres and depicts Buddha seated in the Mara posture. It’s an eye-catching sight to see how the statue glistens in the sun on a rocky island off Koh Samui. If you love Thai food and enjoy preparing that food that you love, spare some time to attend a Thai cooking class to know the cooking techniques of your favourite dish. Cooking will be more enjoyable if you cook together with someone, perhaps your special someone! Learning to cook Thai food is absolute ‘Sanook’ (fun), as the locals call it. The Aquapark Samui has many exciting activities that will appeal to all your family members. 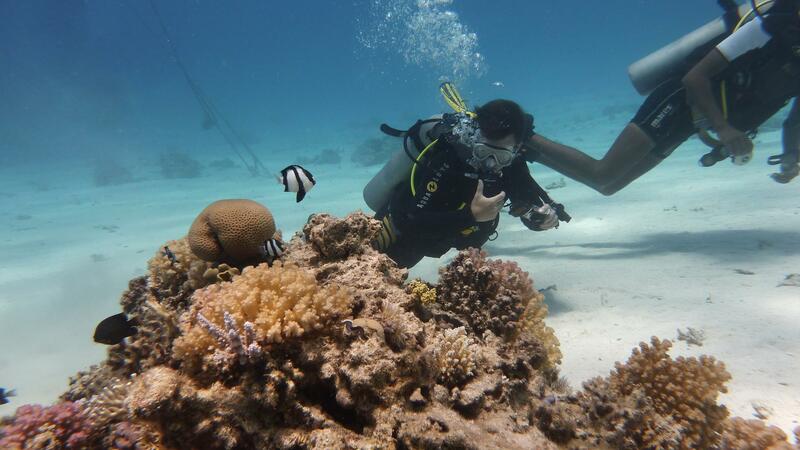 While having a good dose of sun, all energetic souls can dive into the underwater world to see the exotic marine life. Those visiting this part of the world will have a plethora of accommodation options like Sunset Coast Samui Resort & Villas which offers many facilities a leading Koh Samui resort will to spice up your holiday. Located on the calm, immaculate northern end of Chaweng Beach, Anantara Lawana Resort & Spa Koh Samui has attracted a larger number of tourists compared to otherKoh Samui Resort. With a range of restaurants and accommodation options any visitor could choose whatever they require according to their budget. With extra activities like water sports, golf, cocktail making classes, fishing and yoga this resort is one of the best Hotel in Samui. Buddhism being the major religion in the country, there are many spiritual related places to visit while visiting. Big Buddha is one of the most popular sacred places in Koh Samui. 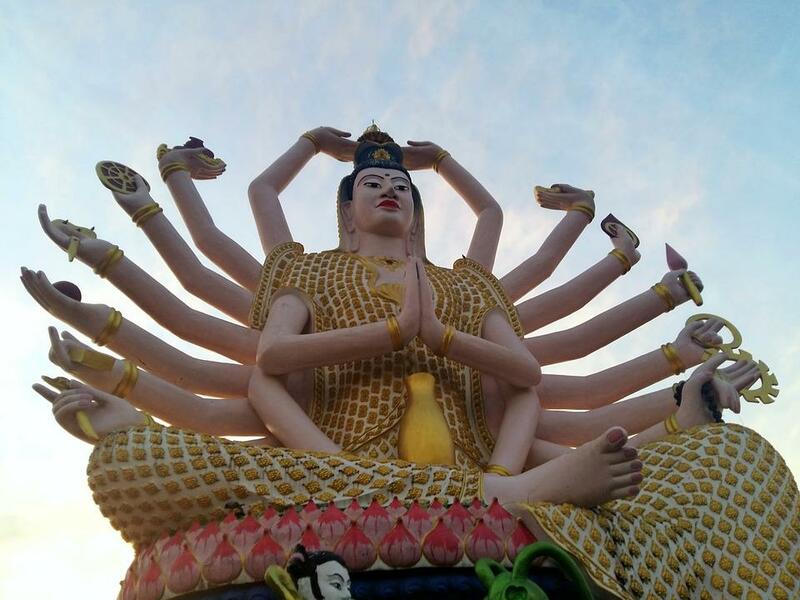 15 metre tall golden statue of Buddha is located at Wat Phra Yai. The four superimposed footsteps, greatly decorated is located on a top of a hill which is known as Lord Buddha’s Footprint. After climbing the 150 steps apart from the decorated footprints visitors would be able to see amazing views out over the island. Another place where anyone can visit is the temple at Wat Kiri Wongkaram. This temple has two mummified monk’s which are placed in glass cases. Apart from them the Coral Buddha, Wat Sila Ngu where the main attraction is the pagoda entirely covered in gold leaf. It is always advised that visitors are properly attired when visiting these spiritually important places in Samui.